AUSTIN—It could not have been a more perfect day for a swearing in recently in Austin. 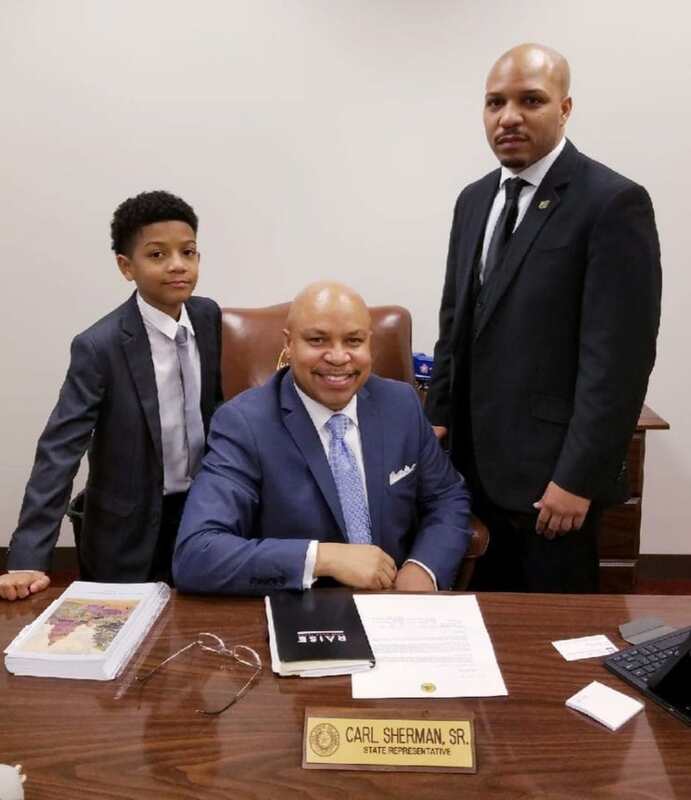 Freshman Democratic State Representative Carl Sherman, Sr. representing District 109 was surrounded by family and friends Tuesday as he took his place in the 86th Legislative Session. Even more on point was the fact that the new Speaker of the House asked Sherman to lead the prayer. This action could be seen as a key move in Bonnen showing his interest in summoning unity and civility in the House this session. Three generations of Sherman men celebrate the recent inauguration. 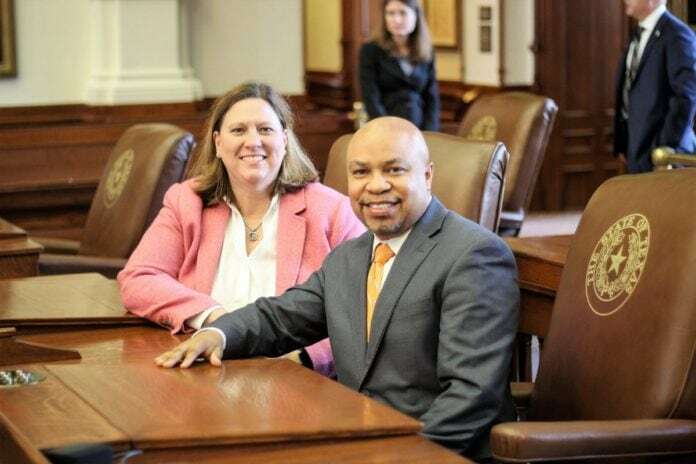 Sherman also said he came away from the inauguration with a clear vision of how he sees transformation improvements in public education and school finance. A key item during Sherman’s election run was to tackle school reform and he intends to do it. Numbers during the summer indicated historically, the State of Texas accounted for approximately 67% of school district total funding, but now the state’s portion is approximately 38%. In short, Sherman said changing the scenario on education does not sit well with him. Another key area Sherman plans to address is transportation, which is critical to the economic development in the region. He also plans to vie for increased funding for mental illness. Texas Legislative District 109 includes DeSoto, Cedar Hill, Glenn Heights, Hutchins, Lancaster, Wilmer, parts of Duncanville and Dallas.